This customer had the genius idea of utilizing our sculptures to create railing panel infills for his mountain home front porch. 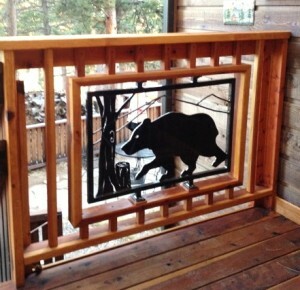 The wood and steel combination as well as the Colorado wildlife theme makes these railing panels one of our most unique. Perfect for a Colorado mountain home. 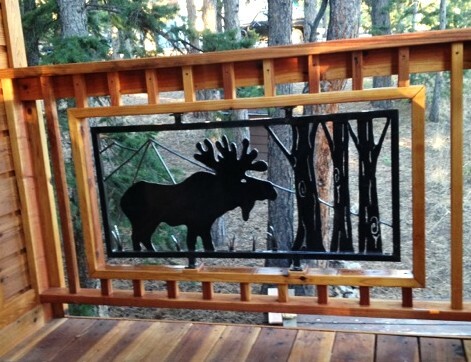 Customize your railing with a sculpture from our line of over 150 sculptures. Contact us with your idea and for more information.